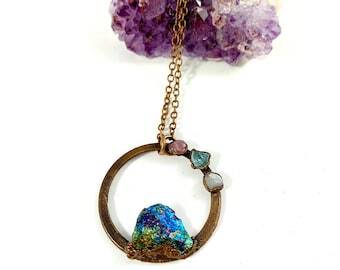 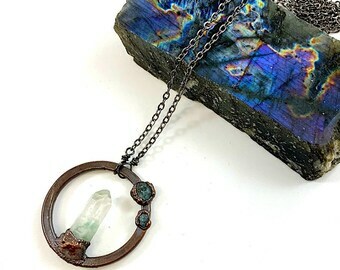 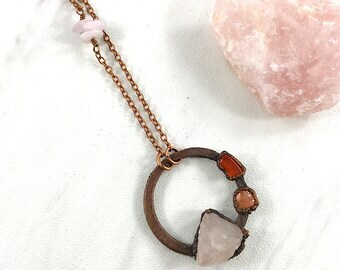 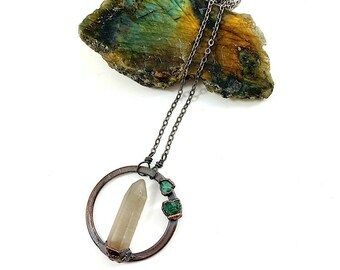 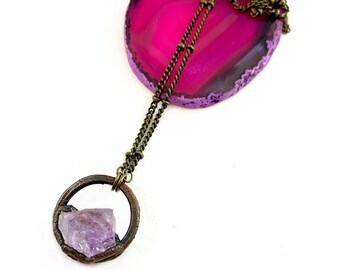 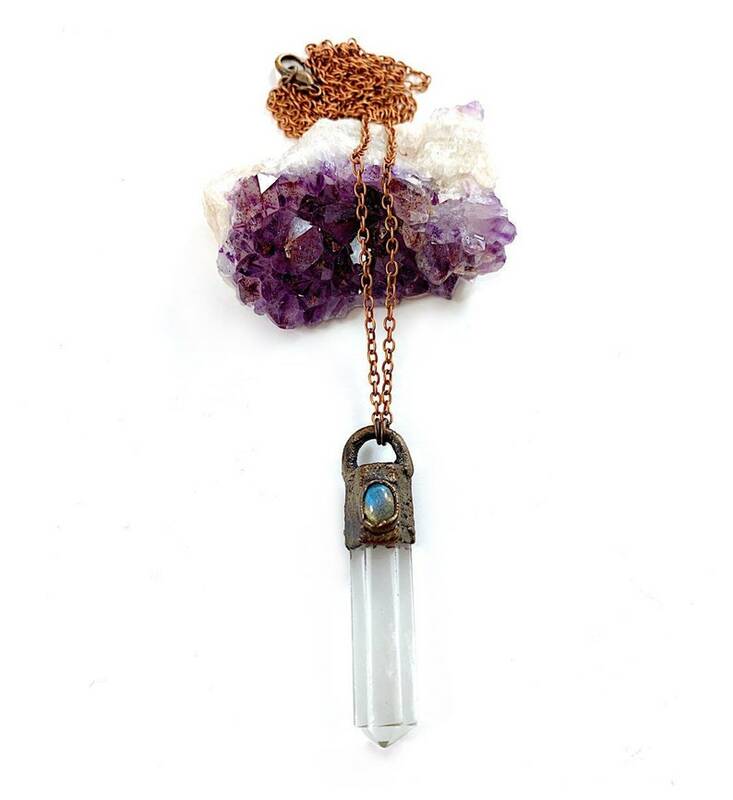 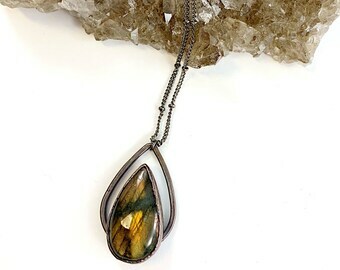 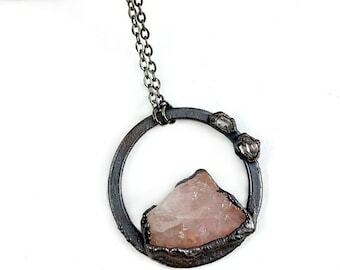 One of a kind pendant made from a polished quartz point and flashy labradorite stone electroformed in copper. 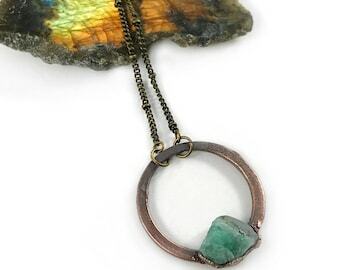 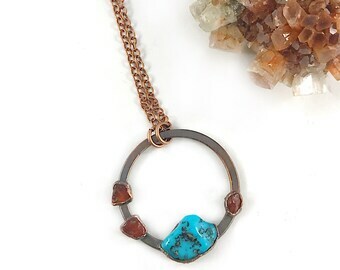 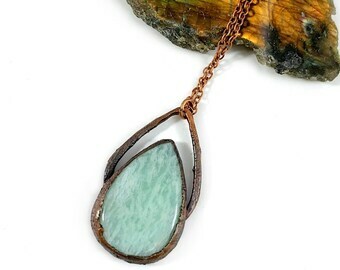 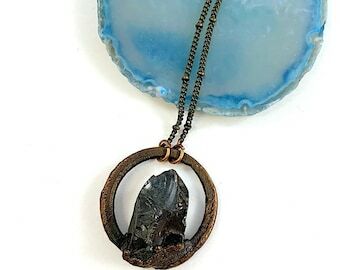 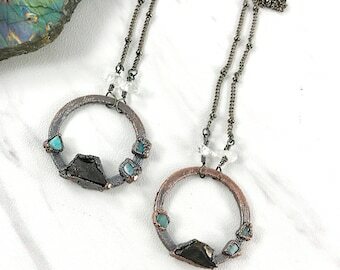 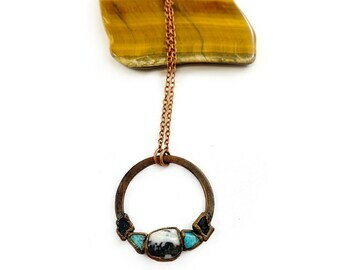 The pendant was given a patina to darken the copper to an antique bronze. 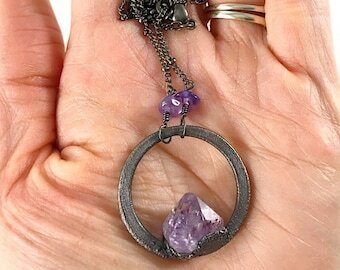 It hangs on an 18 inch chain.